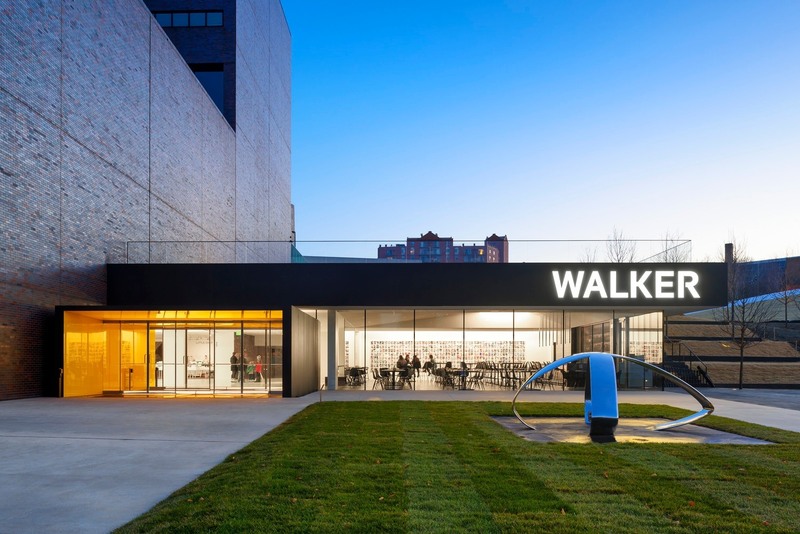 The Walker Art Center Expansion in Minneapolis has won a prestigious American Architecture Award for Museums and Cultural Buildings. Sponsored by The Chicago Athenaeum: Museum of Architecture and Design and The European Centre for Architecture Art Design and Urban Studies, the awards program honors new and cutting-edge buildings, landscape architecture, and urban planning in the United States. The Walker expansion, designed by HGA, envisioned a bold new identity for the museum and created a public heart for the 19-acre campus and adjoining Minneapolis Sculpture Garden. Design features include a 5,500-square-foot entry pavilion that contains a restaurant and kitchen, public foyer, and green roof; a 15,200-square-foot renovation of the adjacent main lobby, parking entry, and mechanical rooms; and a complete re-cladding of the existing brick museum. Additionally, the six-acre upper garden was renovated and integrated into the newly unified campus. The 24th annual American Architecture Awards® were presented at a Gala Dinner at The Institute of International Education in New York June 20, 2018. The winners will be exhibited in New American Architecture at The Istanbul Design Biennale in Istanbul, Turkey, September 2018, and will be published in Global Design + Urbanism XVIII. HGA previously won an American Architecture Award for Lakewood Cemetery Garden Mausoleum. Joan M. Soranno, FAIA, Design Principal for the Walker expansion and Lakewood, also recently won the Edward S. Frey Award for her contributions to religious architecture and allied arts. Read more about the Walker expansion at The American Architecture Awards.